I am developing a phobia of GPs. My experience of the NHS since being ill has actually been incredibly positive compared to the experiences of many of my friends, but still it has been far from rosy. I have accepted, perhaps from the very beginning, that there is very little that medical professionals can/will do for an M.E patient. Alas it has still been incredibly frustrating and upsetting. On my last visit to the doctors both me and a family member left the surgery in tears. You see we had just been told that I had seen little/no improvement because my family were supporting me. Yes really. According to this doctor my parents should cease from doing anything for me. They should stop feeding me, shopping for me, cooking for me, doing my laundry… That way, and only that way, would I have no choice but to do these things for myself and pull myself out of this state of illness. When I told the GP that I was sometimes so poorly I had to be spoon fed she, instead of thinking ‘My goodness this young lady must be incredibly ill!’ she blamed me and my family for not trying hard enough to recover. Do you know of any other physical illness where that would have happened? Do you know how hard that is to hear? Do you know how it feels for it to be suggested that your ill health is self inflicted or merely a case of pulling oneself together to get better? On this same visit I was referred back to the CFS/ME clinic because I had made no improvement whatsoever. Infact I had made the most incredible progress, but because of the shortsightedness of this GP and so many medical professionals when it comes to this condition, she could not see it. When the CFS/ME clinic heard of this they weren’t too impressed. They celebrated my huge improvement! Alas that hasn’t been a bed of roses either. While I am lucky that a GP took enough interest to refer me (or pawn me off) to a specialist clinic, I am offered no treatment other than Cognitive Behaviour Therapy (CBT), pacing and Graded Exercise Therapy (GET). We are fobbed off in my opinion. We are not fixed but taught how to live with, and manage, our condition. Now I am not a cancer sufferer so I cannot possibly speak about life as a cancer sufferer but an acquaintance, who has unfortunately suffered from first cancer and now M.E has said that she would choose cancer over M.E any day. That says quite a lot doesn’t it? This man saw me on one of my very first doctors visits before my diagnosis. He has admitted that he was shocked to see a person so incredibly poorly, barely able to walk and unable to talk. He was better than I was apparently. And now that person (me) and too many other sufferers, are neglected by the very professionals who one expects to be able to help. We are left with no definitive treatment. We are only taught how to get on with it, and even then we are often left completely alone to teach ourselves. Looking back to when I was diagnosed by a neurologist (who cost so much money to see for half an hour we actually rang to check they hadn’t accidentally charged us twice!) he did no MRI scan or blood tests. I described my symptoms and he declared that I had the classic symptoms of Chronic Fatigue Syndrome. He suggested a low dose of amitriptyline to help with my restless legs and to help me sleep and I was instructed to “have a quiet Christmas”. This was in November 2010. Some treatment huh?! I am not an expert but I do know that we as M.E sufferers are neglected in a way that would never happen with many other illnesses. 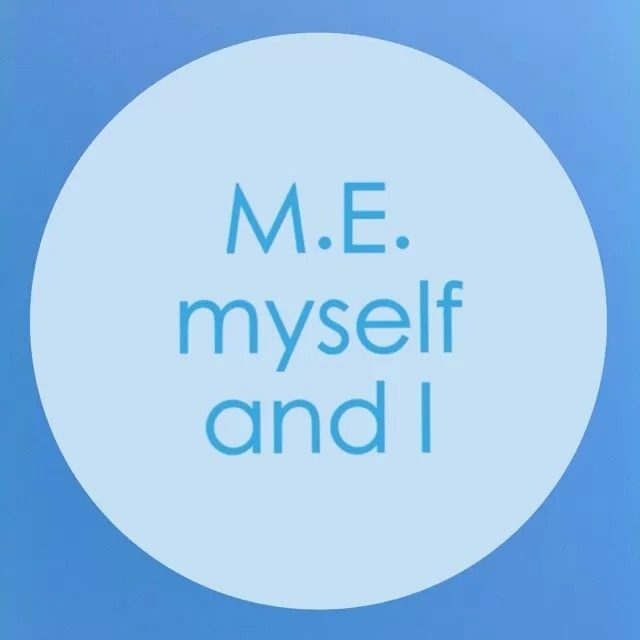 M.E can and has been fatal. So why are we still not taken seriously?